There aren't enough food, service, value or atmosphere ratings for Moloko Hua Hin 78, Thailand yet. Be one of the first to write a review! What a good bar/restaurant. Very nice owner, her name is Patcha I love you all Good food and drinks. You van play pool. Good atmosphere. 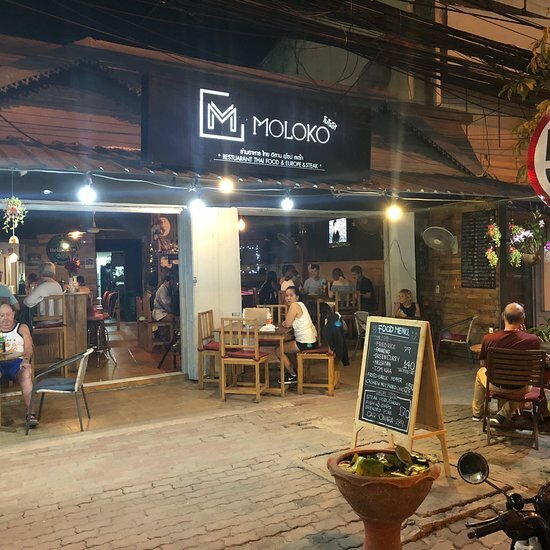 Get quick answers from Moloko Hua Hin 78 staff and past visitors.